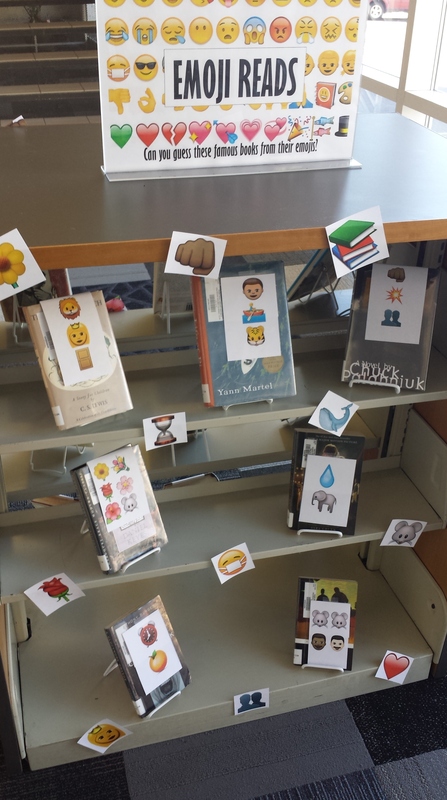 I totally saw someone do a similar display on Twitter, but I cannot, for the life of me, find the original inspiration. Thank you, kind stranger! 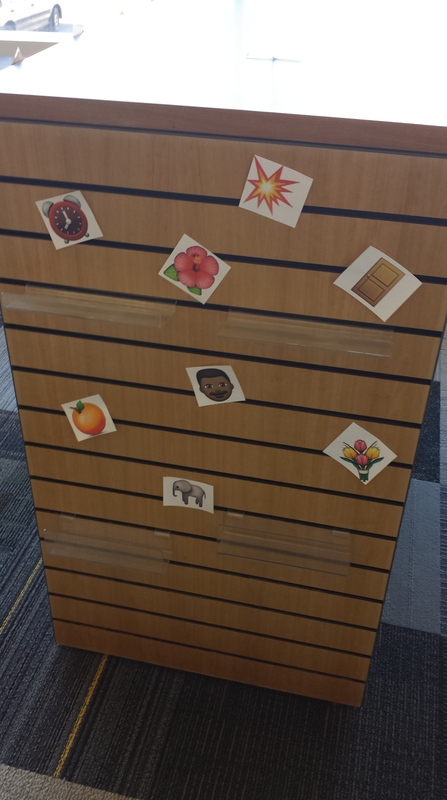 I think patrons are a little afraid to check out these books, but according to my coworkers, people are having a fun time trying to figure out the books the emojis describe. 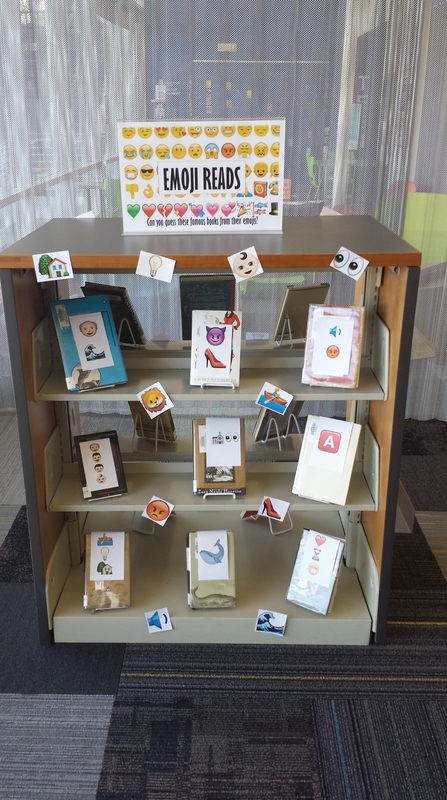 I’m afraid that Apple or someone will come after me if I post the files I used to create this display, so the photos of the finished project will just have to do.